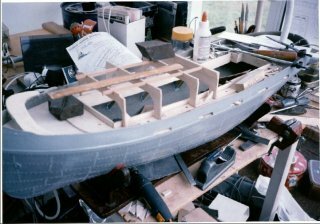 The foremost cost-effective way of building quality boats... typically, approximately two thirds the cost of conventional kits. Pioneered by Mobile Marine Models, the system allows you, the modeller, expert and beginner alike, complete freedom of choice... in your purchases, and / or the decision, after the purchase of Pack #1, as to the amount of 'scratch-building' you wish to execute... .
From the full size, fully detailed Plan enclosed with every HULL, (every tug hull is 'finished' in the now famous Rust coloured Gel-Coat - scratch the paintwork and rust shows through), the finished model can be completed from materials and equipment supplied by yourself. 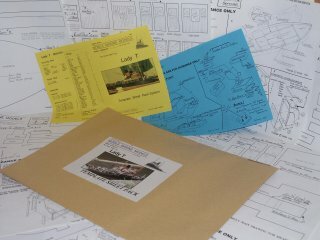 A must even for the most experienced builder, saving hours and hours of lofting-out, the TEMPLATE Pack(s) consist of a series of drawings, each numbered so you can work in sequence, of all the individual components from the hull upwards... AND, includes many exploded diagrams showing how all the said components fit together. PLUS a wiring diagram for the installation of electrics, batteries, radio, etc. Another advantage of the Template Pack system over conventional kits - Drop-a-Clanger... simply take the Template and make a new component. Contains more than enough selected Stripwood & Ptywood complete the model. 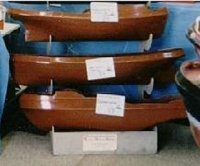 It is worth noting that, striving to meet the demands of all modellers, ALL of our boats cn be completed using plastic sheet or even tinplate. 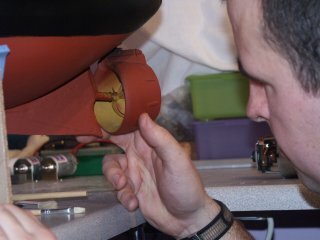 From the motor to the Prop, Mobile Marine Models unique engineering and manufacturing processes enables you to customise the propulsion system of your model to your own specific requirements. 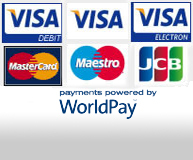 ... of course, we are ALWAYS available to assist you in your choice. 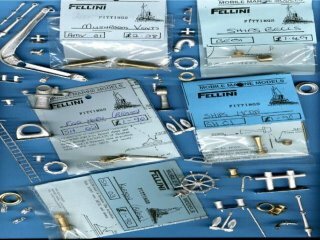 All the fittings, including the Funnel kits, Ship boat kits, Windlass and Winch kits are individually listed and priced. Once again allowing you complete freedom of choice.